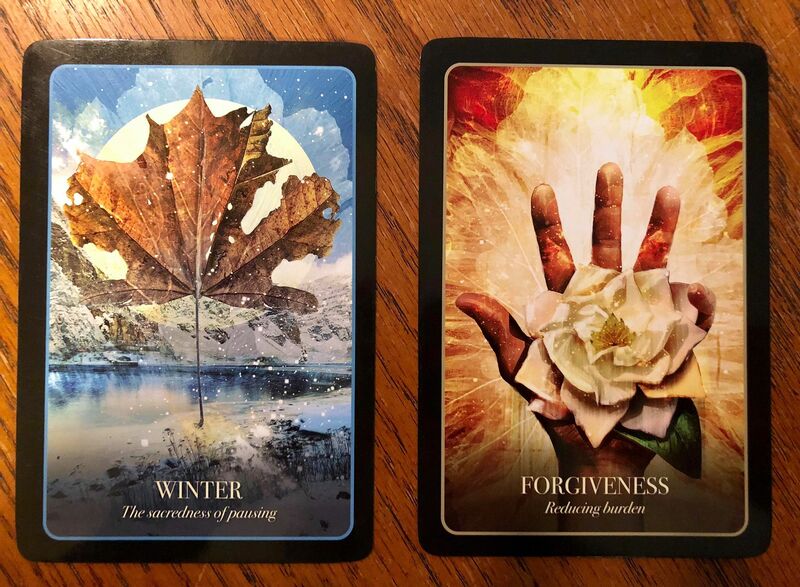 The Winter card was the strongest today, but the Forgiveness card was almost as insistent so I posted them both for you all to consider. It’s definitely feeling more deep fall/heading into winter here today. Rainy and 46 degrees is perfect weather for reading or writing with a cozy sweater and cup of tea, but it also helps me to consider the need to take a breath now and then. Then again, maybe the Winter card is telling me to get to work on the Yule deck I’m considering. I adore this Halloween- and Samhain-inspired deck, but I have often wished for a similar deck for the Winter holidays. We shall see how it goes. Death is frightening even though it is inescapable. However, as we move into winter, we know it signals a literal and metaphysical death. In some parts of the planet, the extreme weather means snow and ice buries all life and the ground lies fallow and still. In winter, the earth slows down and there is less light and often more wet weather. Many plants die back, many animals are less active and traditionally it was a leaner and more difficult time for those who worked on the land for their living. Winter often brought with it the end of a life cycle – a figurative or literal death. 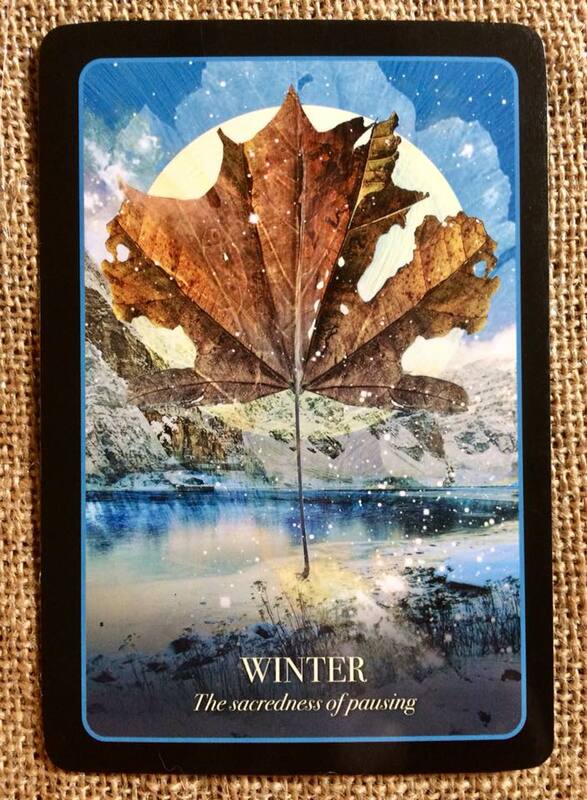 Should the Winter card appear to you, it’s time to let what no longer serves you die away. Where it seems natural and right to let things that have been bothering you for some time die back, take real action to change those things. Anything that is superfluous, “extra,“ and burdensome – release it.